Meal planning has changed our lives! My dinner time meal stress is almost non-existent because all of the guess work has been taken out of the equation. I now usually know what I’m cooking, I shop for the ingredients once on Sunday evenings, and I factor the appropriate amount of prep time per meal. Our favorite meals usually fall on our Breakfast-for-Dinner nights. For whatever reason, my kids love selecting the breakfast meal that will grace the dinner table. Somehow that same un-welcomed morning food becomes highly anticipated when it’s eaten at the end of a long school day. Usually we’re eating breakfast burritos or scrambled cheese eggs or homemade waffles. 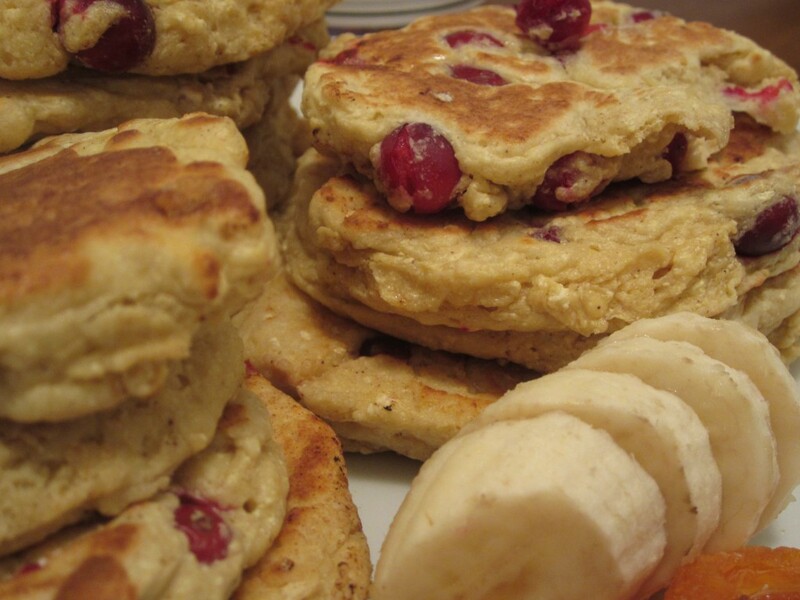 I decided to shake things up a bit and make Ricotta Cranberry Maple Pancakes. I don’t usually try to create more work for myself in the kitchen, especially around the frenetic post school pre-dinner hour but, I happened notice a bunch of ricotta cheese left over from a lasagna bolognese I made the week prior. To avoid throwing the cheese out, I had a the crazy idea that I could try to emulate the ricotta pancakes I always devour at Norma’s Restaurant. Within moments I was assessing my pantry and fridge for the batter ingredients – I only needed to purchase the cranberries. 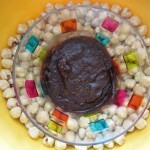 It have talked about the importance of reading through the list of ingredients in a recipe, and also the recipe itself. That way you know: what’s expected of you, the ingredients required, and the proper amount of time involved. I have learned to always follow that rule of thumb. 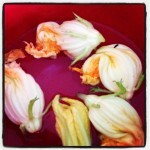 However, I guess the excitement of finding a recipe for the ricotta cheese made me forget. 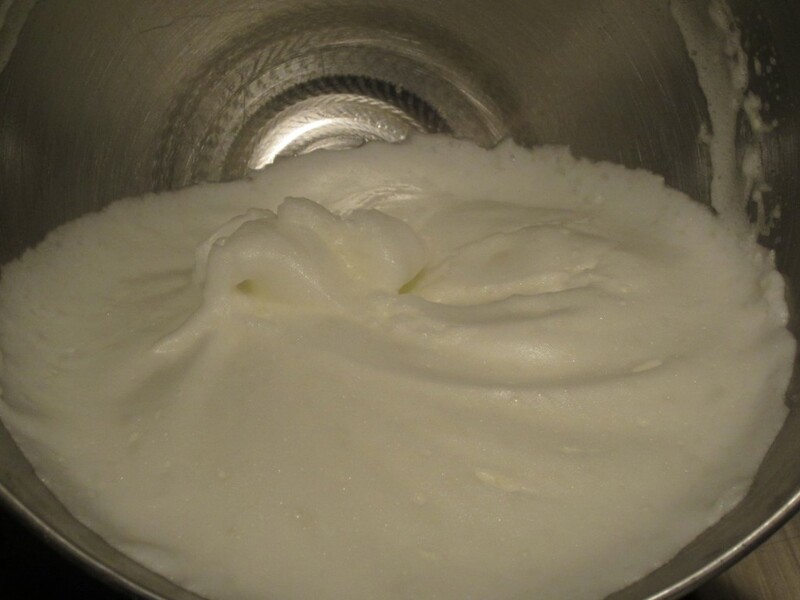 The recipe calls for six eggs to be separated and then the egg whites are immediately beaten stiff. Luckily I learned what beaten stiff to form peaks meant from my Culinary Institute Baking Skills class. While the egg white were in the mixer, I dumped the egg yolks and watched them ooze down the sink drain. Then, I read that they were needed! So, let’s just say I used up an entire carton of eggs (12) for this pancake project. After that mix up, I read every letter of every word in the directions. I made sure I folded the stiff egg whites into the flour mixture (again, another distinction I learned in my baking class) and mixed it thoroughly. The consistency of the batter was extremely thick, like paste. Paper mache or pancake batter? While I was hoping to gracefully pour the batter onto the skillet and watch the pancakes bake to perfectly round completion, that didn’t happen. Instead I plopped the sticky batter and watched it cook into odd, rugged shapes on the stove top. And, the popping sounds from the whole cranberries popping in the heat is totally not relaxing. But, I got through the batter (which seemed never-ending) and am proud to say that I made 14 oddly-shaped Ricotta Cranberry pancakes. Of course I decided to sample the worst looking pancakes of the bunch. I have to admit, they tasted good. However, knowing my critics, I had a feeling the cranberries would be too tart for them. Next time around I’ll probably use dried cranberries (less tart) or blueberries and also add a bit more sugar to the batter to make it a tad sweeter. I also poured over top some very generous amounts of the pure maple syrup I received from the Mohawk Valley Trading Company. Hearty breakfast or hearty dinner? Once the pancakes boasted their syrupy sheen, I knew they’d get two thumbs up from my children. Of course, when polled, they opted for the fattening homemade buttermilk pancakes with chocolate chips but, they did admit these came in a close second. 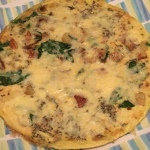 Since that’s the case, next time around I’ll also use low-fat Ricotta cheese instead of the whole milk Ricotta as they both really seem to taste the same. 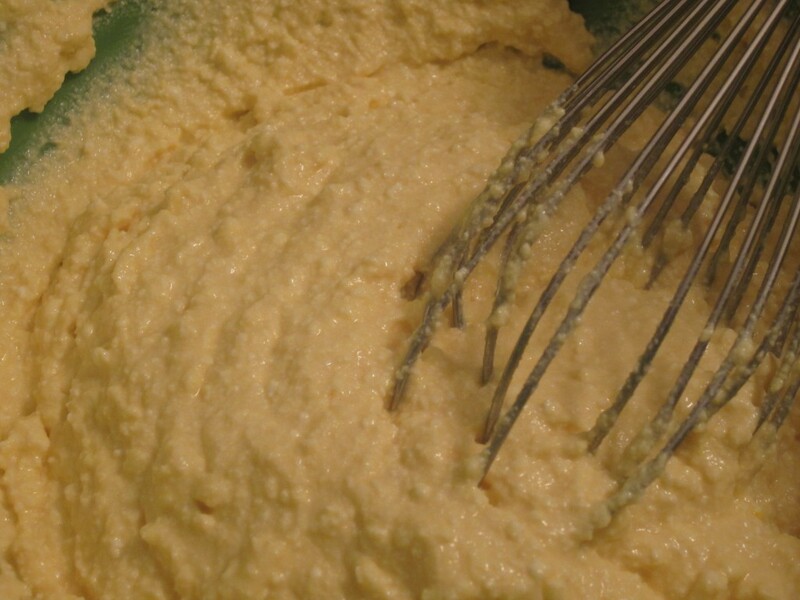 In a separate bowl, whisk together, ricotta cheese, vanilla extract, and egg yolks until combined. Do not over mix. Fold in beaten egg whites along with cranberries. 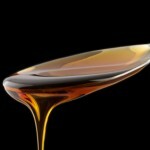 Cook on a greased, preheated griddle and serve with maple syrup, confectioner’s sugar or jelly. Notes: I’d add more sugar, make it 1/2 cup. 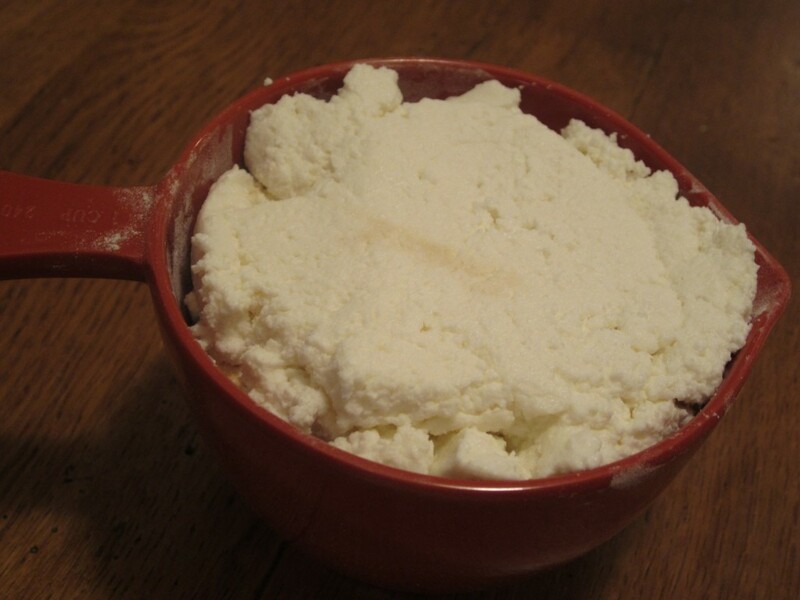 You can use low fat ricotta instead of whole milk. Use dried cranberries for more sweetness and less tartness. I am not as good as using the ingredients I have leftover, Louise yells at me for this. 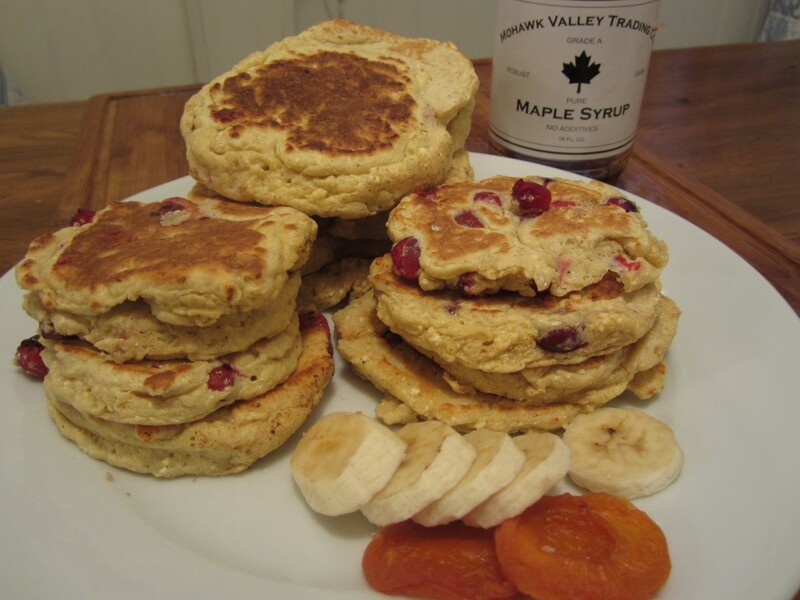 These sound delicious, have never had ricotta pancakes. These look absolutely delicious! I’m pinning! Thanks for sharing w/ Healthy 2Day Wednesday! Hope to see you back next week! These sound so good! And the ricotta is a great way to add protein, especially when they are for dinner! I will have to try it sometime! [WORDPRESS HASHCASH] The comment’s server IP (184.173.246.244) doesn’t match the comment’s URL host IP (216.172.186.183) and so is spam.